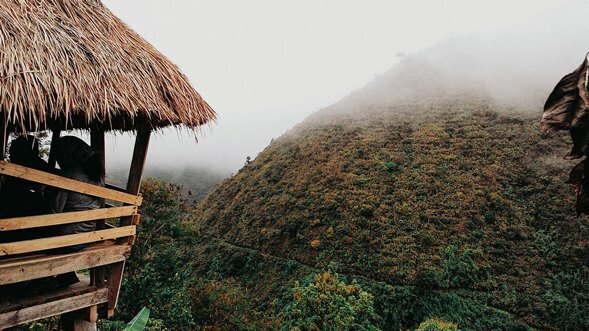 A female tourist who hailed from Quezon City in Manila died during a visit to Buscalan, Tinglayan in the province of Kalinga. According to the Kalinga police, the incident happened on Saturday (November 18). The tourist along with her group went to Buscalan to visit Apo Whang-od, the world-famous tattoo artist who makes Buscalan as her residence. The woman has been identified as Agustina Ng delos Reyes, a 55-year-old widow who resided at barangay Holy Spirit in Quezon City. Initial investigation by the Tinglayan Municipal Police Station divulged that delos Reyes and her group of other tourists arrived at Buscalan around noon on November 18. They were in the company of Raffy Baod, the 27-year-old man they hired to serve as their guide for the duration of their visit. According to witnesses, delos Reyes got very dizzy when they arrived in Buscalan. She then collapsed inside the house where they were resting. Her daughter who was with her at that time tried to revive her by applying first aid. It was to no avail. Police investigators are still trying to identify the cause of delos Reyes's death. With the incident, tourists especially those who have existing health conditions are advised to ensure that they are strong enough to go to Buscalan before they go there. Tourists have to walk a considerable distance to get to the village.